The author, then an FBI special agent, received a call from Crimson Mine's general counsel who told him he wanted to prosecute a vendor who had been caught overbilling. The author thought that the case would be a routine matter of vendor greed. However, he found additional suspects, and the fraudster also turned out to be a victim in this $550,000 fraud. Learn about the wisdom of early interviews, the problems of "investigative myopia" and the advantages of limiting the scope of a fraud examination to save time and discover evidence. This article is excerpted and adapted from the "Bribery and Corruption Casebook: The View from Under the Table," edited by Dr. Joseph T. Wells, CFE, CPA, and Laura Hymes, CFE, published by John Wiley & Sons Inc. ©2012 Used with permission. Names in this case have been changed. It was a typically slow day at the Bellville, W.V., Residency Agency of the FBI where I served as a special agent. Because I was the only agent with an accounting background, I was the designated white-collar specialist when new cases arose. George Brent, Crimson Mine's general counsel, called to tell me about the recent discovery that one of its vendors had been overbilling, and Brent wanted to prosecute. I first thought that this would be a routine matter of a vendor's greed, and I'd just need to look at how much was taken and try to get the vendor to confess. However, during the course of my investigation, we developed additional suspects, the scheme took a turn in a new direction, and the bad guy actually turned out to be likable and as much a victim as he was a suspect. This would also be one of the largest frauds to ever occur in Bellville. The Crimson Mine had been a major employer in the region for more than 40 years. However, recently two of the three mines had closed, which resulted in a loss of jobs in the area. A large public company, Diversified Holdings Inc., had purchased Crimson a couple of years before we investigated the fraud. The company had a hotline, and its new telephone number was posted in the break room and other places at the mine. 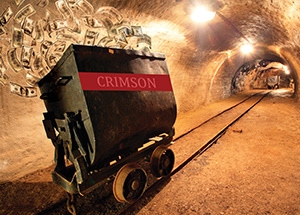 It subcontracted out mine support construction to local vendors so that Crimson could focus on mining. Through the years, the company had several different vendors, but for the past five years, it exclusively used Richardson Construction because of its prompt response and excellent work. Keith Richardson moved to Bellville eight years earlier to start a small construction company dedicated to providing specialized metal fabrication to the Crimson Mine and manufacturing companies in the area. When Richardson started, he only had one employee, but over the years he had developed the company into a thriving business with 30 workers. Richardson was proud of his success but also felt a great sense of responsibility to his employees to find work to keep them busy and employed. He knew that his success was providing for 30 families, and this responsibility weighed on him more than anyone knew. Because of the limited industries in the area, his work came primarily from half a dozen businesses. The Crimson Mine was his largest account, comprising 30 percent of his total billings. Because of the substantial amount of work and the long-standing relationship Richardson had with Crimson, they established a "blanket purchase order (PO)" agreement. Under the arrangement, when mine supervisors needed work done, they could call Richardson and order it at a prearranged labor rate plus the cost of materials without the need to obtain competitive bids. The mine supervisor would then approve Richardson's time sheets and materials list and forward the documents to the accounts payable department based on the blanket PO agreement. Crimson reserved the right to review Richardson's time sheets, payroll records and materials invoices at any time without notice. A few months prior to Brent's call to me, Diversified received a message on its hotline. The tipster stated that Richardson's company had been overbilling Crimson for work done at the mine and that "it had been going on for years." Diversified's response was to seek assistance from the forensic accounting practice of its Big Four external audit firm. The auditors obtained documents from Richardson and performed a review of all of the last two years of billings and compared them to the vendor's actual payroll records. What they uncovered were overbillings totaling nearly $550,000 over the past two years. This was accomplished through overstating the actual hours reported on the time cards submitted to Crimson for payment. They also found ghost employees listed on time sheets who had either never worked for Richardson or were working on other jobs on the days billed to Crimson. As a result of these findings, Crimson immediately ended its relationship with Richardson, and Brent called the FBI. After receiving Brent's call, my FBI partner, Special Agent Trace Burrows, and I headed out to the mine to get the whole story. Brent told us about the message from the tipster and about the work the external audit firm had completed. He had met with Richardson the day before to let him know that they would no longer be using his services but didn't detail the audit findings to him. Brent appeared personally hurt by Richardsons betrayal and greed. He had known Richardson for a number of years and liked him very much. Brent knew Crimson had substantially made his company what it was today and also valued the work Richardson's company had done at the mine. No safety violations or injury accidents had ever occurred from their work, and, as the general counsel, that was very important to him. While he was saddened by the wrongdoings of his friend, Brent also had a responsibility to the company, and Diversified instructed him to pursue prosecution of the case. When I arrived at Brent's office at mine headquarters, he provided me with a two-page summary of findings along with five examples of overbillings. He also told me about his meeting with Richardson the day before and that while he didn't accuse him directly, he was confident that Richardson knew that the auditors had discovered the fraud. He also told me that all of the audit evidence and working papers were at the auditors' offices back in Texas. At this point, I had a decision to make. Do I subpoena the detailed audit evidence and spend time wading through several boxes of invoices, time sheets and payroll records, or do I go ahead and interview Richardson with the information I have? I chose to interview Richardson. To be honest, this was a bit of a gamble. Richardson could tip off other conspirators or destroy evidence. However, I decided not to wait because after Brent spoke with Richardson, he knew the fraud had been discovered. Also, he was no longer in a position to continue the fraud or do further damage. As far as destroying evidence, I knew the auditors already had most of what we needed, and the rest would be found by a subpoena of his bank account. At the time, I wasn't aware of any co-conspirators, but if Richardson was going to tip them off, he likely would've done it already.